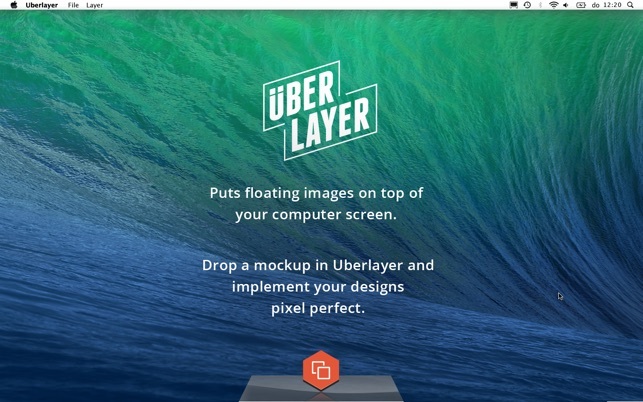 Uberlayer puts one image on top of all other windows of your computer screen at its actual size. Proof a design to the pixel, watermark a presentation or show off to colleagues with that hot picture of your new ... puppy. 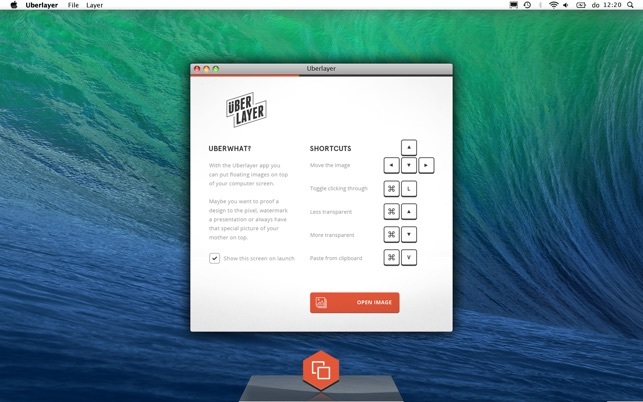 Copy & paste, drag & drop or use the layer menu to open almost any image source. + Displays JPG, PNG (also with transparency), TIFF, GIF and PSD. + Paste images from the clipboard. + Keyboard control for pixel precise positioning. + Click 'through' the images in locked mode. + System wide drag & drop support. 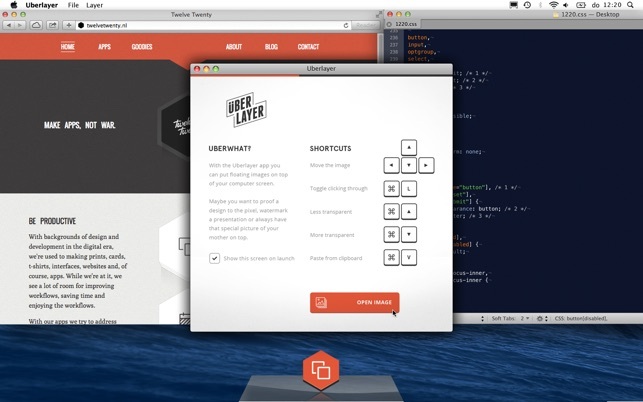 This app is great for testing the designs of websites. 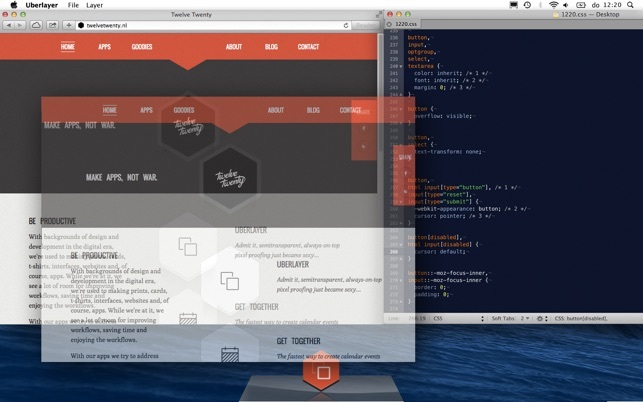 Places the layer over the website and view how the HTML matches the code. Nice! Dit is echt handig! Geniaal idee!